Five teams are separated by just two victories in the race for the last three playoffs spots. 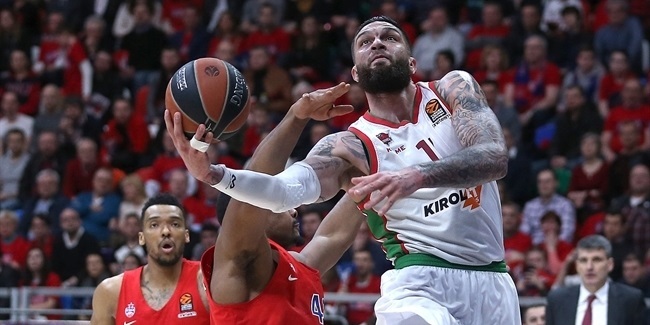 With eight games remaining there is plenty of basketball left to be played, but KIROLBET Baskonia Vitoria-Gasteiz’s win over FC Bayern Munich might end up having big implications in that race. Baskonia beat Bayern 76-68 on Friday night, overcoming a 77-71 loss from Round 4 to grab hold of the head-to-head tie-breaker between the teams. With Baskonia up by 6, and with 5 seconds left on the clock for the final possession of the game, the home team’s play out of a timeout did not go as planned. Johannes Voigtmann threw a desperation long jumper that hit the bottom of the front rim, but dropped into the waiting hands of Vincent Poirier who put it back right at the buzzer. And as much as it was luck, the turn of events might not have been just an accident, because a very similar thing with the exact same outcome happened at the end of the first half, too. With the final seconds of the second quarter ticking away, Luca Vildoza threw a high-arching three-pointer that hit the front rim, bounced high, but this time it was Vogitmann rising to get the offensive board and put it back as the halftime buzzer sounded. 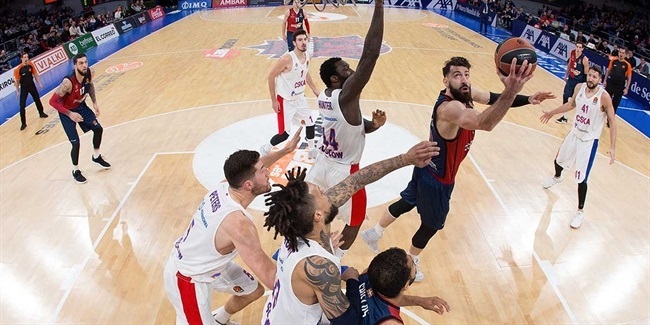 Those two buzzer-beating baskets at the end of each half, for a total of 4 points, gave Baskonia a double-win this Friday and just might make a major difference when playoffs participants, and playoffs seedings, are determined after 30 rounds. 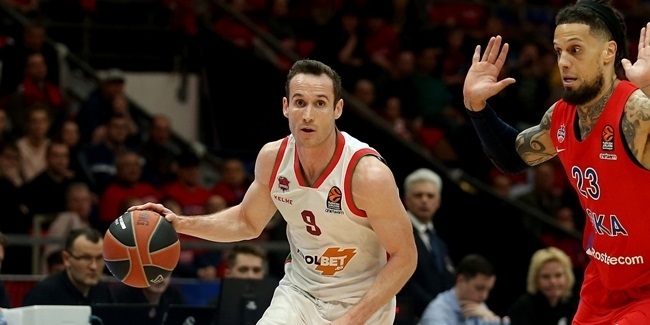 Baskonia also holds a 2-point tiebreaker over the other team with an 11-11 record, AX Armani Exchange Olimpia Milan, while Bayern swept the series against Milan. There is still a long way to go, but Baskonia right now feels as though it has an extra win on its tally.